There are several reasons to own a tankless water heater. But as with any other appliance you can have in your home, this gadget can have some drawbacks as well, depending on your unique situation. Without a doubt, these systems are a godsend for homes where traditional water heaters don’t seem to have enough hot water for everyone to use since a tankless version can offer an endless supply of hot water. Sure, tankless water heaters can really help you save on space, but there is a notable financial setback to enjoying this convenience. The installation costs for these tanks can be pretty high. 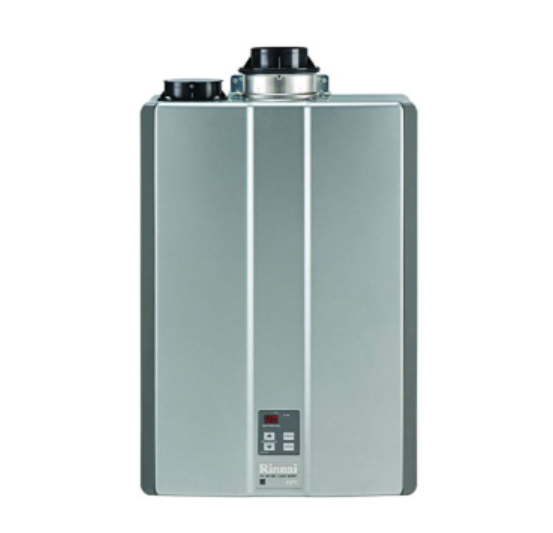 In general, installing a tankless water heater will cost more than it would cost to install a tank-based water heater. Some of the reasons tankless water heaters are more expensive to install include the fact that you might need to reroute gas lines or even add new venting. These requirements can make installing these systems a lot more expensive. The professionals needed to install these systems also tend to add to the cost of having a tankless water heater. So, unless you are willing to spend all this money, a tankless water heater might not be the ideal option for you at the moment. Getting a tankless water heater requires quite a bit of investment. Generally speaking, you will have to spend up to $1,000 more to get your hands on a tankless water heater. So, if you are working with a limited budget, you might find this water heating system to be hundreds of dollars beyond your budget limit. Additionally, with such a restrictive budget, you might not manage to buy the best tankless water heater you can find, which might come with additional drawbacks as well. Unless you have a family with high hot water demands, you will be left wondering when the energy and cost saving benefits of a tankless water heater will start to kick in. These systems prove more effective for scenarios where a lot of hot water is necessary. So, if you are the only one using this system, odds are that you will not get any tangible benefits as you use it to supply your home with hot water. Similarly, if you can change your hot water usage habits considerably, you can end up enjoying the cost saving benefits a tankless water heater offers even when you are still using a traditional water heater. After installing a tankless water heater, the month-to-month costs of running the system might be lower. However, it might take years before the cost benefits of using this water heating system over the traditional model are realized. Estimates indicate that it could take over 6 years before the costs savings compensate for the high installation costs. If you get a tankless water heater that runs on gas and has a constantly burning pilot light, then you might not get the expected energy saving benefits of a tankless water heater. These water heaters end up using power on a constant basis, and any anticipated energy saving benefits might be wiped out so that you are stuck with a considerably more expensive water heating system that uses just as much power as the traditional water heater you had in place. Tankless water heaters have many advantages, and there is certainly a future for these water heating systems. In fact, the way things are going, traditional water heaters are being phased out in favor of these modern systems which generally offer greater energy and cost saving benefits to their users. However, the high initial costs, prohibitive installation costs, and other setbacks might make the decision to get a tankless water heater less than ideal at the moment. Otherwise, if you can afford a tankless water heater, you can look forward to enjoying benefits such as instant hot water, a longer lifespan, lower maintenance costs, better space economy, and greater energy savings.